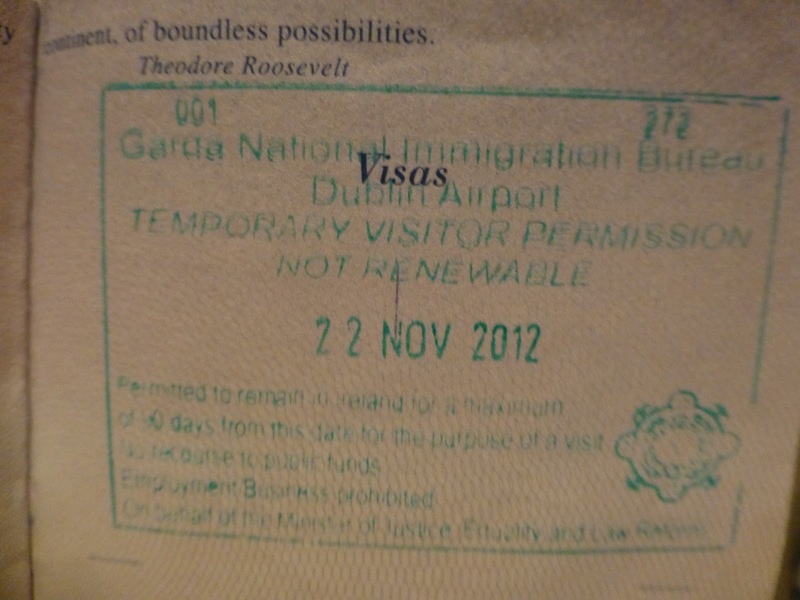 The Irish Boarder Control folks use green ink to stamp your passport as you enter the country. If this doesn’t fill you with Irish spirit, I don’t know what would. Can I just say, I am glad the US doesn’t use a Red/White/Blue ink pad for its stamps. By Tim in Travel on November 26, 2012 .